Raymond Is the Regional Minister for the Eastern Region of the Florida Conference. Dr. Hargrove started his ministry in the UCC as a licensed minister and was later ordained in the Southern Conference of the UCC. He has served as a local church pastor in North Carolina and Virginia, adjunct national staff person, a member of the staff of the Southern Conference UCC, Elon Homes for Children, the Connecticut Conference of the UCC and on Boards of Directors of several denominational entities. 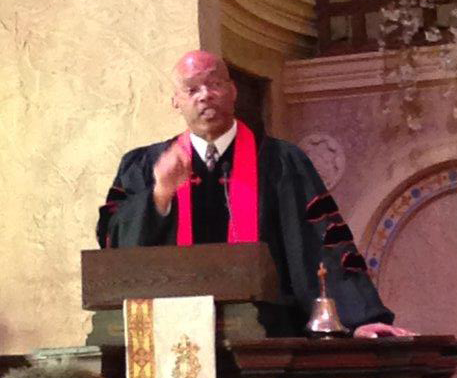 He earned a Master of Divinity Degree from Duke Divinity School & a Doctor of Ministry Degree from Drew University. Raymond believes that the Church, like the culture around it, is in the midst of significant change. He believes that we are wrestling with questions of essence, identity and calling — who are we as people of faith who self-identify as Christian, what are we called to do, and how can we do that most effectively? "I believe that 'faithful' ministry, in any setting of the church, occurs when God’s people, clergy and lay, work together toward fulfilling whatever vision God has given them to share. I believe that this understanding of ministry as the 'ministry of the whole Church' serves to remind us that each of us has a God given gift to offer, and that we are most 'effective' when we work together. I have found this to be true not only in the context of the local church but also within wider church relationships. This approach has served me well whether serving as a local church pastor or member of a judicatory staff. "In summary, ministry for me is about transformation. It is about God's people gathering to worship God, to renew and be renewed, to identify and help others identify their gifts and calling and then joining together to share those gifts in ways that help to transform the world around us. It is about helping to keep the message of the Gospel — the good news of God's love and grace — relevant in an ever-changing world as we are inspired and empowered by God's Spirit. This to me is an expression of God's love and an extension of the ministry that Jesus initiated during his ministry among us. We are called to be the Body of Christ, present and actively involved in the world." Rev. Dr. Raymond Hargrove may be contacted at rhargrove@uccfla.org. Rev. 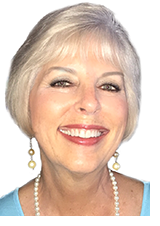 Leslie Denney Etheredge is the Regional Minister for the Western Region of the Florida Conference. Leslie began her ministry with us in August of 2015. She is mom to three adult children and four precious grandchildren, all of whom live in Alabama. She is an avid sports fan and a ridiculously dedicated Auburn fan. Leslie is an Alabama native, a graduate of Auburn University (education), UAB (Masters in Counseling) and Memphis Theological Seminary (Master of Divinity). Her 20 years as an educator and counselor provide a rich history from which to draw in forming significant relationships and a concern for wholeness and wellbeing for persons and institutions alike. She describes herself as a “people person” and is passionate about women’s ministry, meaningful worship, open and affirming ministry and Christian education. Raised in the United Methodist Church, Leslie discovered the UCC while in seminary, knew that she had found a new denominational home and never looked back. Ordained in the Missouri Mid-South Conference, she spent two years as a hospital chaplain and six years in parish ministry with the Southeast Conference before coming to Florida. Rev. Leslie Etheredge may be contacted at letheredge@uccfla.org.